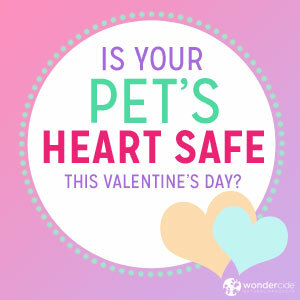 This is the second post in a two-part series focused on keeping your pet’s heart safe. This post focuses on how to prevent heartworm naturally. Read the first post to learn the misconceptions about heartworm and understand what heartworm really is. The American Heartworm Society (AHS) recommends year-round chemical preventives for every dog over the age of eight weeks; however, research shows the AHS is backed by eight pharmaceutical companies and has a vested interest in promoting and selling heartworm drugs, despite the drugs’ harmful side effects. If conventional medicines aren’t safe, how can we protect our pets while preventing heartworm? Conventional medicine recommends preventing heartworm by feeding your pet once-a-month tablets. However, evidence is beginning to show that these pharmaceutical drugs aren’t necessarily safe for your pet. Ivermectin, the active ingredient in some heartworm tablets, can cause liver problems, vomiting, diarrhea, depression, seizures, paralysis, auto-immune diseases, pneumonia, aggression, and sudden death, among other side effects. Collies, Australian shepherds, shelties, border collies, and old English sheepdogs are particularly susceptible to the toxicity of ivermectin. Herbs, such as neem bark powder, are a safe, more natural way to help prevent heartworm. Because herbs also promote overall wellness, including digestive health and balance, clean blood, and a strong immune system, they can make pets less susceptible to heartworm—preventing your furry friends from getting infected in the first place! Because heartworm is carried by mosquitoes, we can also protect our pets by preventing mosquito bites. Clear any standing water (mosquitoes breed in standing water) near your pet’s play areas and use a natural flea, tick & mosquito repellent to keep mosquitoes away from your pet. What is a holistic approach for heartworm prevention? Heartworm: Is Your Pet’s Heart Safe? I’ve read black walnut can be lethal. How would I use neem bark powder to prevent heartworms in my dog? What other health aspects are associated with using neem bark powder? I have a young dog, 9 months old, and I do not want to ever repeat mistakes I made with my other dogs—vaccinations, chemicals, processed food, etc. Thank you. Great question Pat! Neem bark powder doesn’t directly eliminate or prevent heartworms, but it does work for intestinal parasites (tape worms, hook worms, etc). NBP helps to boost immune health and push out toxins from the liver and kidney (the body’s natural filters). 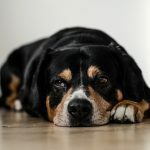 Similar to people that are healthy and get “bugs” (cold, flu, etc) less frequently, dogs that have a healthy immune system are less attractive to parasites both externally and internally. When they are exposed, they are able to naturally fight them off faster and easier too. Natural heartworm prevention is a hot topic, so check out the digital download on this page to get the full scoop. Treating the lawn to prevent mosquitoes is a huge help, and keeping your pup treated with Evolv when you go to other outdoor areas (friend, family, dog park, neighborhood walks) will repel mosquitoes from landing and biting. After all, that is where heartworms come from. could the neem bark powder be sprinkled on their food? I found using Avon skin so soft on the dog also helps with the fleas and the mosquitoes. Hi Patricia! Yes, neem bark powder sprinkled on food is quick and easy way to give the supplement. It helps to increase immune health and detoxify liver and kidneys. Healthy animals are less attractive to parasites, but prevention is always the key. Wondercide Flea, Tick and Mosquito spray is a safe and effective repellent formulated just for pets, so give that a try too! Being an ex vet tech from FL, I hate to admit I have seen a lot of natural tx for internal parasites suffer epic fails in both livestock and pets. I wouldn’t throw out the baby with the bathwater, I believe in less Rx, more natural tx as the way to go. This view is not popular with veterinarians either, so I don’t expect to get positive feedback with this opinion. Even using the Evolv products, and treating house and yard routinely, I battle fleas here daily due to neighbors with a backyard full of dogs on no flea prev. whatsoever. I think “going natural” in both people and animals takes greater effort in terms of both diligence and personal responsibility for what goes in/on us, our pets and our environment, but also there are greater rewards in terms of health and quality of life. This is the best payoff of the natural approaches. When it comes to flea prev. (esp. in areas like FL), many people would rather give their dog a pill 1x/mo, even when they’ve been made aware of the adverse effects on their pets long-term, rather than put in the effort of daily tx (if that’s what it takes), and scrupulous lawn and home tx. I do use heartworm prev, but as the heartworm “lifecycle” for it’s microfilaria runs 6 wks, I give the prevention every 6 wks, instead of once a month. Yes, vaccinations for distemper, parvo, rabies, and such are necc., but not yearly. I believe once a good titer level is achieved, it should be checked for decline and an emphasis placed on health and prevention, rather than annual vaccs. (Now you know why I am an ex vet tech). Like I said, not a popular view for either side, but I believe the focus belongs on our pets quality of life. I applaud Wondercides founder and staff for this approach, and certainly pray for the day when totally effective, safe and natural remedies are routinely and widely used by all and prescribed by practitioners. At least the veterinarian I now use is very open to this viewpoint, and after viewing the Wondercide products brochure I brought to her office, is considering marketing the same through her practice. Her willingness to carry and even prescribe these products makes headway for a fusion of natural and traditional approaches, (rather than a conflict of them), which I believe will have the most beneficial impact on the overall well-being of our pets. Hey June, thanks for sharing your experiences and opinions with the Wondercide community! We are all looking for safer, more effective ways to care for our pets and every time you share, it helps others! Geography and local pest pressure certainly play a part in determining the most effective protocol for prevention and treatment, whether it be vaccines, fleas & ticks, or heart worm. Thank you for spreading the word about natural pet care and your success with Wondercide. Here’s to you and your packs “greater reward”! I’m just learning about natural preventative for my dogs. I’m wondering if the neem bark powder can be added to any of the homemade treats for them. Or if it would cause any interactions with other natural remedies for fleas and ticks in the treats? Happy Monday! I hope that your week is off to a great start! Thank you so much for the question! There are no known interactions between the Neem Bark Powder and other natural flea & tick remedies. Depending on what else you are adding, you might want to default to any label instructions of the other products to make sure it is safe to add other ingredients in conjunction. It should be just fine for you! What a great idea to add it to treats! Makes it easier for everyone. 🙂 I hope this helps! Please feel free to reach out with any other questions that you might have to hello@wondercide.com.